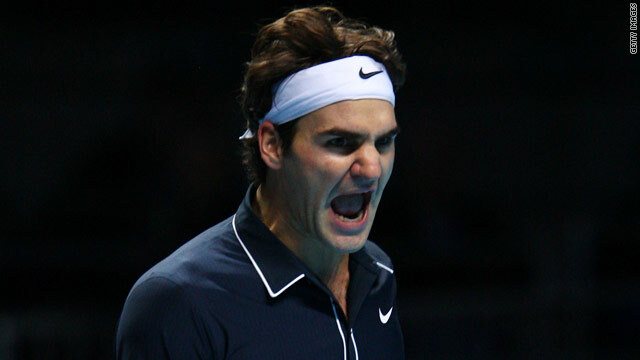 Federer is the ITF world champion for the fifth time after a superb 2009 season. (CNN) -- Roger Federer has been named International Tennis Federation (ITF) champion for the fifth time with Serena Williams taking the women's award for the second time. The pair will receive their awards at the annual ITF World Champions Dinner on June 1 in Paris, during the French Open. Federer had an oustanding year regaining the world No.1 ranking from Rafael Nadal after completing a career grand slam at Roland Garros with victory over Robin Soderling in the final. He went on to surpass Pete Sampras by winning his 15th grand slam at Wimbledon after a memorable final against Andy Roddick. Federer was also runner-up at the Australian Open, where he lost in five sets to Nadal, and the U.S. Open, where he also went down in five sets to Juan Martin del Potro, and helped his country retain World Group status in Davis Cup. "It is an honor for me to be named ITF World Champion for a fifth time. It was an incredible year for me both on and off the court. "It is an honor for me to be named ITF World Champion for a fifth time. It was an incredible year for me both on and off the court," the 28-year-old Swiss told the official ITF Web site. "To win my first Roland Garros title, break the all-time grand slam record and regain the No. 1 ranking is amazing. It means a lot to me to finish the year again at the top." Meanwhile, Williams becomes the women's world champion for the first time since 2002 after producing her best performances at the biggest events. The 28-year-old American captured two grand slam titles, at the Australian Open and Wimbledon, to improve her collection to 11 majors. She went on to win the season-ending WTA Championships in Doha, sealing the No.1 ranking in the last event of the year. Serena also took the doubles year award with sister Venus after taking their career total to 10 grand slam titles. In so doing, she joins Lindsay Davenport and Martina Hingis as the only players to become singles and doubles world champions in the same year.